Two automotive writers, one of which has redacted much of his story, have made claims that the GT-R NISMO's awesome Nurburgring track performance was faked. The claims are less than dubious. A writer at Autoevolution, an automotive blog, quotes an article at Piston Heads in which the ever-lucky Dan Prosser got to get behind the wheel of the new Nissan GT-R NISMO at the race track behind NISMO headquarters in Japan. The confusion at Autoevolution seems to have been with Dan's wording, which has since been changed, and the extreme need of Autoevolution to find something to hate on in the GT-R. I first became aware of the Autoevolution article through the GTRLife forum, which I often troll. I read Piston Heads regularly, but due to the madhouse it's been with both the Tokyo and LA Shows this past week, I had neglected it. For those interested, that GTR-Life entry links to everything else being mentioned herein. The question comes to this: Dan Prosser described his drive in the GT-R NISMO as being in the standard version rather than the track-specific option that was used at the Nurburgring. Nissan said as much in their press release about the GT-R NISMO when it released, of course, and we included the information here when reviewing the release of the car in Tokyo. Eager to get his point across, Mihnea Radu at Autoevolution wrote his piece with thick use of negative adjectives towards Nissan, the GT-R, and even Mitsubishi, just to make sure. Yet, as one GTR-Life forum poster points out, Radu has never (apparently) even driven a GT-R, let alone the new 2015 models, which include the NISMO. Many of the things he says are complaints about the GT-R - some of which I will, though less harshly, actually agree with - are addressed in the 2015 GT-R. Nissan took an obvious convergance between the standard GT-R supercoupe and the GT-R NISMO supercar. CEO Carlos Ghosn spelled that out in Tokyo. The GT-R in its new, standard format, is made for the sports car enthusiast who wants a daily driver. It's outfitted with more sedate suspension tuning, a softer interior, and more luxury. 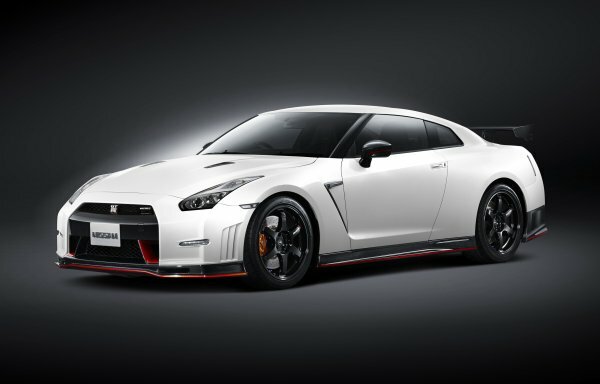 The NISMO rendition is the track enthusiast's version, with better tuning, higher performance, and less comfort. This was the obvious next step for the second-generation GT-R in its new format. Many other cars, like the Porsche 911 and Dodge Viper, have taken the same tack. One for the weekend track racer and one for the "show it off everyday" type. It completes the market. No doubt Alpha Romeo will do the same with the hot new 4C down the road. At this point, very few people have been behind the wheel (or even in the cockpit) of a 2015 GT-R or GT-R NISMO. Those that have seem to have been genuinely impressed by the experience. I can say, for myself, that while I haven't tried the new GT-R, my time behind the wheel of the current 2013 GT-R on the GT track was beyond memorable. While I agree that on the surface streets, everyday, it would not be my personal choice for a daily driver, that's ignoring what the current-generation GT-R is for. It's a track car that happens to be road legal. Again, that appears to be what Nissan is changing for the 2015 model year offerings, separating the two markets so that this halo car will get into the hands of even more buyers. The real trouble here is our inherent need to say that something is "the best." One thing an automotive journalist learns (or should learn) very quickly is that there is no "best" in anything. Sure, the GT-R NISMO might have the best production vehicle Nurburgring time right now, but something will eventually beat that. Nor is the GT-R (as some have said) the best 1/4 mile dragster - the Viper SRT, Audi R8 V10, and others I've driven would smoke it in a straightaway. No car is perfection and every car is specialized in some manner or another, precluding it from being the be-all vehicle. This is why there is such a huge automotive market. If all we had to choose from were Ford F-150s and Toyota Camrys (two biggest-selling vehicles in North America), a lot of us would be unhappy. It's the beauty of a (mostly) free market instead of a democracy of market. Voting (purchases) keep the vehicles on the market, sure, but they don't make a decision as to which will be the ones to "win." It's also why I, personally, have had as much fun in a Nissan Frontier Pro4X this year as I did in the tiny Chevrolet Sonic and the Infiniti Q60. It's why the uber-exhilerating track experience in the 2013 GT-R was matched by the exceedingly interesting "get under the hood" times I had with the Fiat 500e and the Chevrolet Cruze Diesel. Since none of these vehicles are comparable, they're all unique and interesting. Meanwhile, haters gonna hate, I guess. Great article, but you're actually wrong about one comment. The 2012-2014 (now 2015) gtrs are actually much faster then the new SRT viper and r8 v10 plus in the 1/4 mile. YouTube motortrends worlds greatest drag races for a few examples. There are also others comparisons on times for all 3 as well. Honestly, while those videos make great entertainment, they aren't a measure of much. You have a dozen cars with a dozen different drivers of different expertise. If you look at the #3 (latest), you'll see that in the beginning, many of the drivers lose traction because they aren't familiar with the vehicle and how it performs from a zero-start. Having driven the Audi R8 V10 and Viper SRT V10 as well as the 2013 GT-R, all on the same track, I would definitely give the straightaway to the R8 and Viper (probably the Viper overall, but that's a hard call). The main advantage the GT-R has is its extremely awesome cornering and general handling characteristics for the amateur (which I fully admit to being). That must have been so amazing being able to drive those cars. It does truely depend on the driver but if you were racing at a stoplight with all three cars and didnt have much space who do you think would win? Is the GTR a better street racing car then the other 2? Please tell me your opinions since you have access to these amazing peices of machinery. My access is generally limited to press events, but Nissan has always been great about making sure we have our hands on the coolest stuff they have available. In less than a quarter mile, the smaller engine will almost always prevail. This is because the fewer cylinders you have, the faster your firing rate probably is and the less time it will usually take for your engine to make maximum output. The sweet spot for torque output in a smaller engine with high turbocharging (ala the GT-R's V6) is at lower RPM than it is in larger engines with more displacement to create their peak torque. Off the line, torque is all that matters and the faster you can get to your highest output, the better. This is why drag racers rev their engines and hold the brakes on the starting line before the green light. The GT-R's other advantage is that it puts power to all four wheels (all-wheel drive), which means it gets better traction and so holds the road better. It's not uncommon for racers to "break traction" from the start, which you'll see as an observer as spinning wheels, tire smoke, and fishtailing as the car moved forward. With AWD, that's less likely to happen. Really, though, the GT-R's greatest advantage is its heavy weight and high maneuverability - two things that don't often go together. The weight keeps the car down on the ground and the maneuverability means it corners at high speeds and G-forces very well. This makes for great racing dynamics. Few cars can match that without getting into ridiculous price points. There's a rumor that Toyota plans to make an in-house small sport coupe to compete with the GT-R. Although not really comparable to the GT-R in its day, the Supra would be great to see making a comeback as a rear-drive sports car with more muscle than the GT86/FR-S, which itself is a fun little track driver. I got to put its twin, the Subaru BRZ, on the track this year and it was great. Man your so lucky to be able to do that. This may seem like a stupid question but when you slammed on the gas in the GTR did your back fly up against the seat? Must have been like a jet taking off. What is the most expensive car you have driven? It will push you back. Hard. The seats are extremely well done, though, and do a good job holding you in place, even on hard corners and slides. I imagine the NISMO treatment only added to this because the seating in the Juke NISMO is phenomenal. You can read about my GT-R time here: http://www.guysgab.com/on-the-track-with-the-2014-nissan-gt-r-premium/ The most expensive car I've ever been in was a custom Peterbilt truck ad trailer worth over a million dollars together, but I didn't get to drive it (even though I'm qualified). The most expensive car I've ever driven was probably a Bentley Mulsanne. Can't think of any others that were more pricey. Expensive doesn't translate to fun, though. I think the most fun I've ever had in a car was in an $800 F-150 truck we bought and trailered down to Moab, Utah to see how long we could bounce it down trails with no holds barred before it gave in. It was finished off by a tree stump. Haha an F150 lmfao. Sounds like fun beating that thing! Not suprised that the gtr forces you into the seat. Can anyone really drive that thing though? Maybe since you crashed you it you should get a shelby ford raptor and have fun long time!